I thought I'd start a new thread as this gets closer. With prototypes testing on public roads since late last year, I would guess the new model should be on track for Summer '18 release with deliveries starting this Fall. The US Dealer Ordering Guide for the W166 was released on June 11, 2011. I'm hoping this one follows the same schedule as I'm dying to replace my '12, but there may be a possibility it's not out until early '19. I'm looking forward to the new turbo straight-six with mild hybrid and 48v electrical system, which will appear in the CLS first. And the -53 AMG series should be kickass! 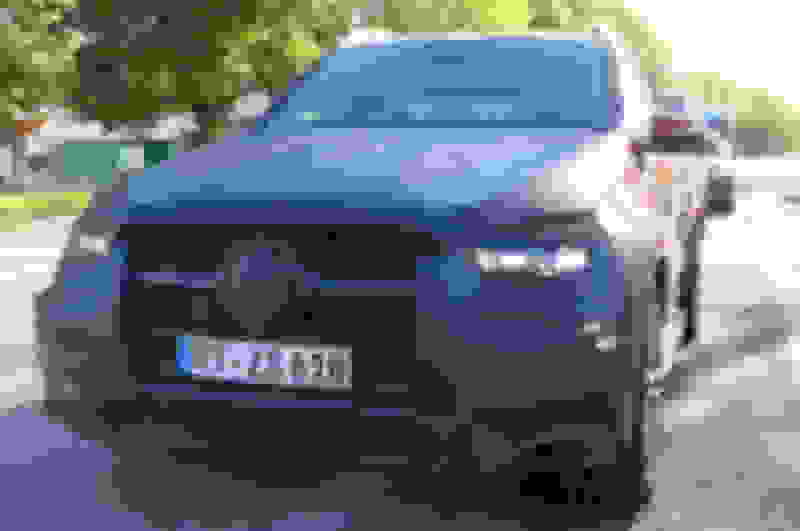 This is posted in the X166 GLS forum but may apply to the new GLE as well: "The 2019 GLS will be on display at MB dealer meeting in Cabo...... DOG will is currently scheduled to be released end-Mar/mid-April..."
I was interested to read over on the GLS forum that the X167 is to be released on roughly the same schedule as the W167. In models past it has lagged a year. No one really knows what the truth is. There is conflicting information from multiple sources. Oh how exciting! I can't wait to see it in the flesh. I would love to swap back into a GLE as my new GLS500 is way too big for my requirements, but I only bought it because I really wanted the non-AMG 4.7 litre V8 which was no longer available in the GLE (GLE500/550). So, if anybody at Mercedes-Benz is listening .... please please bring back the GLE500/550 with the non-AMG V8, even if it's the newer 4.0 litre engine. I'm not a fan of diesel, and I don't want all that AMG madness of a GLE63s, it's just too noisy & aggressive for me, and even in comfort mode it's still a very loud and crazy machine! 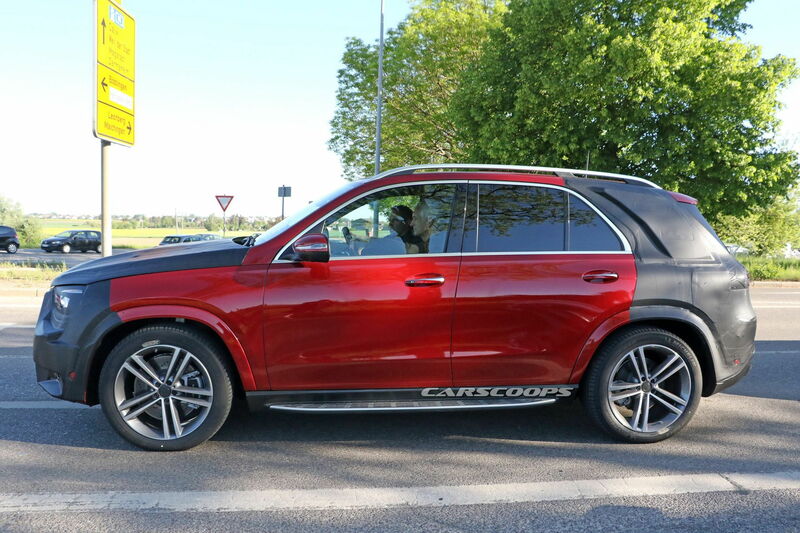 I just want a nice smooth and quiet V8 for towing and driving satisfaction that the non-AMG V8's seem to provide, and with the Off-Road Engineering Package that you also can't get in a GLE63s. I know I sound like a broken record, as I've mentioned this numerous times in different threads/posts over the last couple of years. And, I know the days of V8's are dying quickly, but there's still so much demand for the AMG V8's obviously. Why can't they still produce the non-AMG ones? Thanks GregW / Oregon, I bet it's an awesome engine too, but it's still not a V8. I have driven V8s for many years now, and nothing quite compares. It's not all about speed/power for me, just driving pleasure from the sound and being slightly heavier in the front end, plus it's nice having all that grunt ready for when you need or want it! I can't wait to see the un-camouflaged photos of the new GLE. From what I've seen so far it looks really good! Any speculation on the W167 reveal? Perhaps this months New York auto show? NY show is the last major show in the US until LA auto show in Dec 2018. I hear you on the V8 thing. My '08 BMW M3 was a V8 and loved the sound instant response. Now, my '15 with twin-turbo straight six is a more powerful and a lot more torquey, but not quite the same. Still a helluva' lot of fun. At least the straight-six should be an improvement over the vee (still remember the balance shaft bearing issues on my '06). I don't agree on wanting more weight on the front, though - that is seldom a good thing for handling and steering feel. Last edited by GregW / Oregon; 03-16-2018 at 09:55 AM. All I've seen recently is that the production version of the new Maybach X167 GLS is to be unveiled at LA this Fall (MotorAuthority.com). Does that mean the regular GLS will be unveiled first? Will the GLE and GLS drop at the same time? Press days for NY start 3/28 with the show starting 3/31. The US Dealer Ordering Guide for the W166 came out 6/7/11, so a NY reveal would put it on the same sort of schedule. Tagged for updates and hope the reveal is coming soon. We are almost out of warranty on our Escalade and give the reliability and terrible service of our local Cadillac dealer we will be returning to the Mercedes brand for the family SUV. We traded out of a 2013 ML350 for it and have regretted it since other than the 2nd row captains seats. If the GLS offered captains seats in 2016 and had updated the tech past sticking an IPad on the dash we would never have left MB. Edit: Not a GLE. Can delete this. Last edited by Vegan; 04-02-2018 at 04:28 PM. What then? Looks about the right size? Grille does not match what we've seen on mules, though. Last edited by GregW / Oregon; 04-02-2018 at 06:19 PM. What then? Looks about the right size? It was a GLC. I originally found it on Instagram tagged as a GLE and thought it was the new one, but then saw the headlights and rear. From another thread - 2019 is still a W166 chassis. What thread? I think the one you are referring to was about the X166 GLS? Dang - didn't see that, just saw the GLS one. So, best case at this point is an early 2020 release (perhaps LA show reveal in November/December or Detroit in January). I just can't see them going another full model year with this old platform. I'm theorizing the switch to the straight six with 48V electrical and mild hybrid may be taking extra long to refine. A little update on the GLE53. 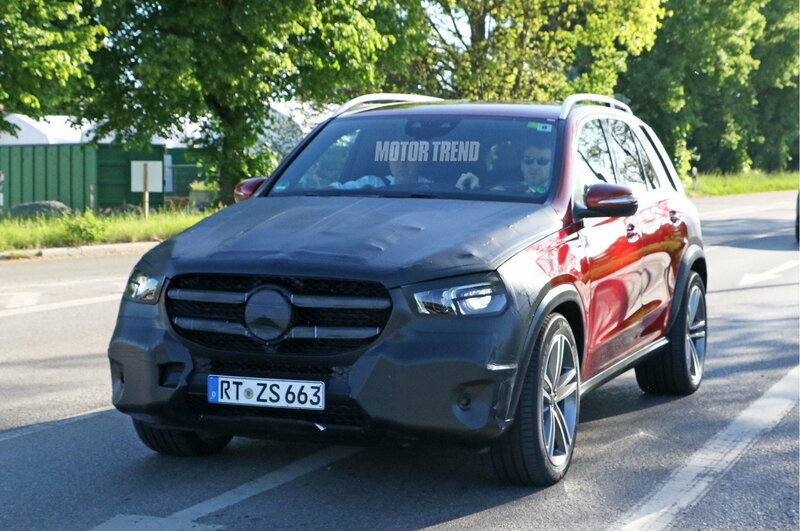 Expect to also see the GLE43 getting replaced by a new GLE53 trim. That model will likely use an inline-six engine with a mild-hybrid setup, similar to what debuted on the new CLS53. Last edited by JoeMa; 05-09-2018 at 09:11 AM. Good catch - means it’s close if that much camo has been dropped and it’s got what look like production wheels (this one wearing 275/45-21s). Last edited by GregW / Oregon; 05-10-2018 at 10:48 AM. Last edited by E55 KEV; 05-10-2018 at 12:21 PM. This is going to be the best looking vehicle they've ever produced for the ML/GLE line. It's already gorgeous. 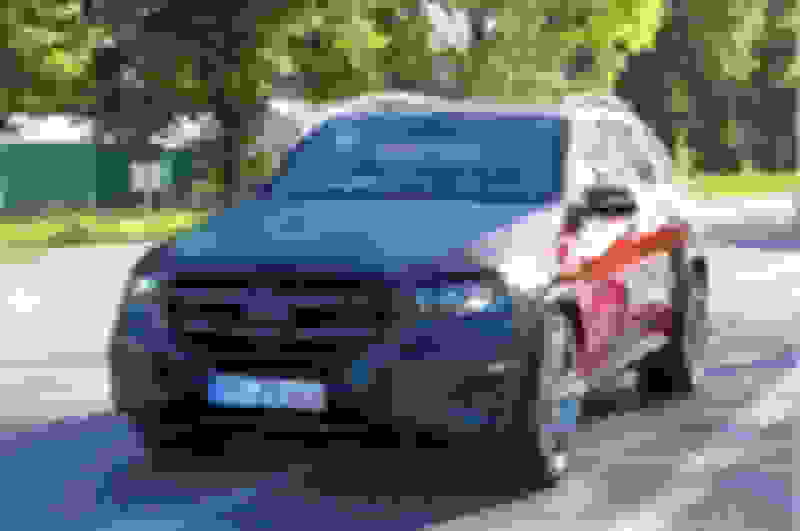 So Paris Motor Show beginning of October is predicted for reveal; sounds about right. Likely means Winter ‘18-19 ordering.